ASF*, stands for Advanced Streaming Format, a proprietary video and audio container format developed by Microsoft primarily for streaming media. Unfortunately it is not a native HTML5 video**, thus Microsoft ASF videos are not playable on HTML5 browsers. If want to play .ASF files on a HTML5 website or browser, you need to convert ASF to html5 formats first, then embed them into your webpage with an ASF HTML5 player. How to Convert ASF to HTML5 Video? Step 1. Download ASF to HTML5 Converter. Simply click Add Videos button to import ASF video files from your computer hard disc to the application. This HTML5 converter supports batch video conversion, you can add multiple ASF videos to the converter and convert them into HTML5 videos in a batch. 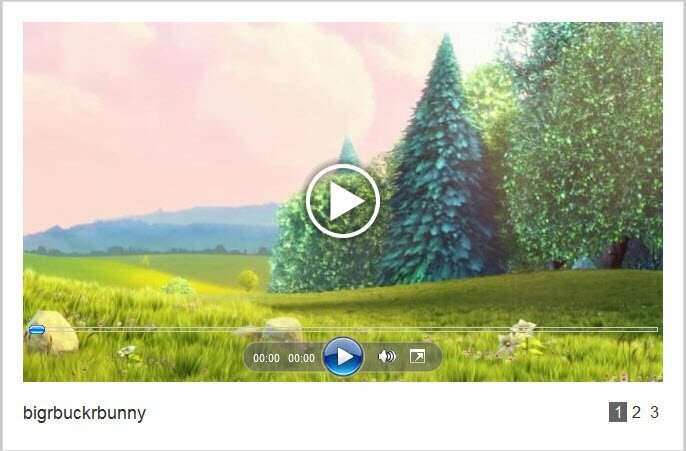 Click the Preview button to view your ASF videos in HTML5 player, click the Publish button to convert the source ASF files to HTML 5 videos with the nice looking web video player. Now you have converted ASF to HTML5 video, additionally you get the professional HTML5 player as well. They can be found from the output folder of this ASF to HTML5 converter software. It is time for us to publish the HTML5 video online now. How to Add ASF to HTML5 website? In the first half of this ASF to HTML 5 tutorial, we showed you the steps to convert ASF to HTML 5, now please follow bellow steps to embed the HTML 5 videos into your website. The HTML 5 videos and player will be published to your local hard disc first. Run the ASF to HTML5 converter, go to HTML5 menu >> Open Output Folder, find the HTML 5 video project we have just created and upload them to your website directory through FTP client. 2. Copy HTML5 video embed code snippets and Paste to your Web page. Now you know how to easily convert ASF videos to HTML5 and publish them to your website with HTML5 video player(s). Have Fun! *ASF: ASF is a highly compressed file format that contains streaming video, audio and optionally metadata, such as title, author, and copyright bibliographic data. When an ASF file is played back, content is delivered to you as a continuous flow of data. You no longer have to wait for the whole video and audio file to fully download before you start to view them. So, this file format is specially designed to run on networks. When an AVI file is compressed and converted to an .asf file, the file begins playing after only a few seconds. ASF files can be played back with the Windows Media Player (provided the appropriate codecs are installed), streamed with Windows Media Services or optionally packaged with Windows Media Rights Manager.